For many football supporters around the world the person that took them to their first match was most likely their father. Many of us end up supporting the team our dad's support, for better or worse, and if given the opportunity still enjoy sitting down to watch a match with our old man. If your dad was a professional footballer himself though, the experience of watching football is rather different. Football becomes an even bigger part of your life, as you would be surrounded by it, and the desire to following in your father's footsteps would be immense. Although there are countless footballers who have had sons that have unsuccessfully tried to follow them into the game, some second generation footballers have made it into the professional ranks and gone on to great careers in their own rights. One was a self styled Spice Boy for Liverpool in the 1990's and they other was a grizzled midfielder with hangdog looks for West Ham in the 1970's who achieved greater fame as a manager. 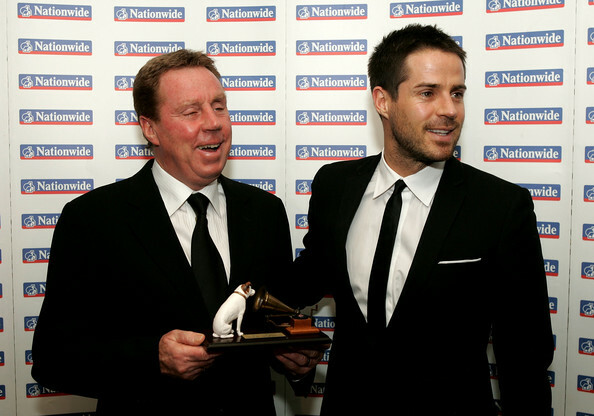 I'm talking of course about Harry Redknapp and his son Jamie Redknapp. 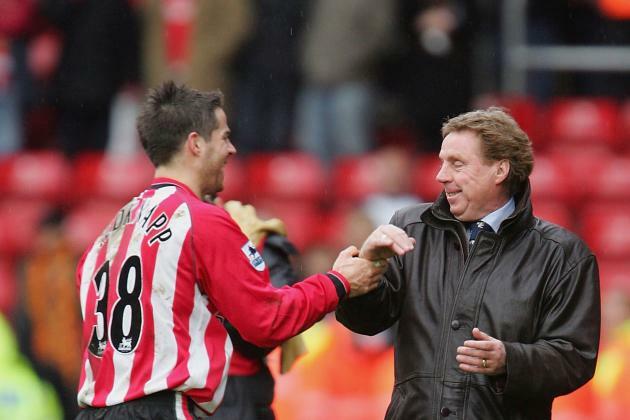 Both Redknapp's are now mainly in the spotlight for their media work, as Harry left his most recent management job at QPR last season and after his injury riddled playing career ended in 2005, Jamie hasn't opted to follow his dad into coaching. The elder Verón, Juan Ramón, enjoyed a glittering career with Argentine club Estudiantes where he was a key part of the side that was the finest in South America in the late 1960's. Nicknamed, La Bruja (The Witch), the technically gifted midfielder enjoyed a brief spell with Greek side Panathinaikos F.C. either side of his stints with Estudiantes. His son, Juan Sebastián, was a similarly gifted midfielder who also started his career with Estudiantes, but is perhaps better remembered for his time in Europe where he shone for clubs such as Sampdoria, Parma, Lazio and Manchester United. 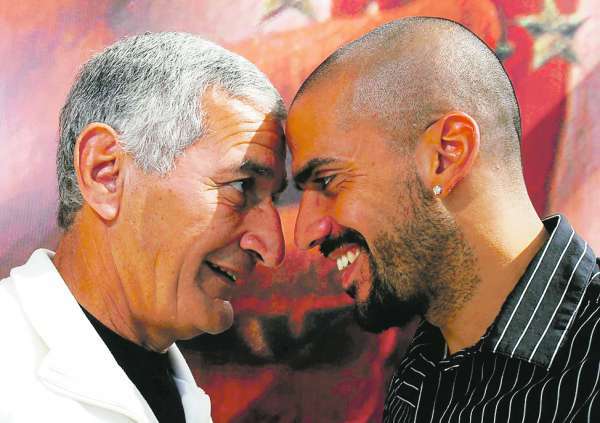 The younger Verón, appropriately nicknamed La Brujita (The Little Witch), won various honours across Europe and in the later part of his career returned home to Estudiantes and in 2009 led the club which meant so much to his family to their first Copa Libertadores title since 1970. The Great Dane, Peter Schmeichel is considered by many to be the greatest goalkeeper in the history of Manchester United and one of the finest keepers to ever keep goal in English football. 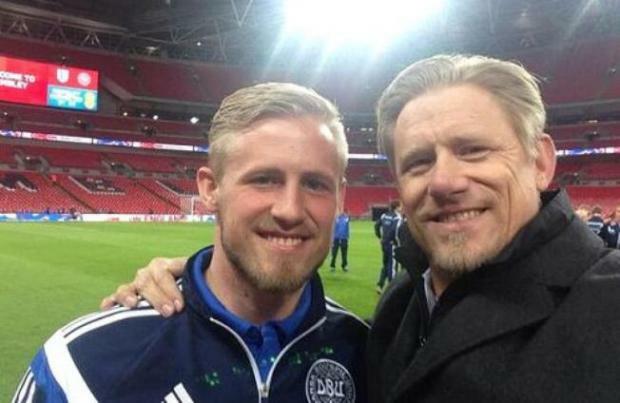 Helping the club to five league titles, a UEFA Champions League crown and various other honours, the older Schmeichel cast a pretty big shadow that his son, although a good keeper in his own right, would always struggle to get out of. That said, after several years of bouncing between clubs Kasper has found a home at Leicester City and his solid play for them has seen him capped 12 times by Denmark in the last two years. The most famous Dutch player of all time and one of the finest players to play the game, Johan Cruyff is synonymous with the "Total Football" style of play that the Netherlands and his club side Ajax thrilled the watching world with in the 1970's. 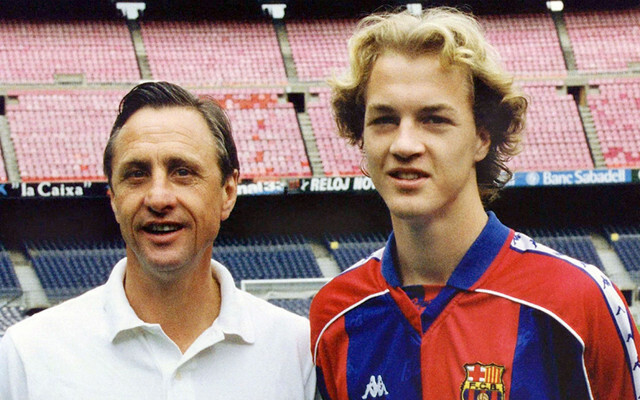 His son Jordi, started his career under his father at Barcelona, before going on to carve out a career at Manchester United, Alaves and Espanyol before moving into management, as his father had done two decades earlier. Back in January of this year Jordi spoke to FootyFair about his career in an interview you can view here. Javier Hernández Balcázar, better known by his nickname of "Chicharito", looks to currently be on his way out of Manchester United having grown tired of the role of "supersub", but he has still made some great contributions to the English side over the years with several key goals. He has also excelled at international level, scoring 39 goals in 72 matches for Mexico, while also appearing at the 2010 and 2014 World Cups. While the younger Hernández is very much a poacher his father, Javier Hernández Gutiérrez who went by the nickname "Chicharo" because of his green eyes, was a midfielder who played out most of his career with Mexican side Tecos. Capped 28 times by his country, Chicharo was part of the Mexican side that made it to the Quarter-Finals of the 1986 World Cup. The family football connection doesn't simply end with Chicharito's father though. The Manchester United marksman's maternal Grandfather, Tomás Balcázar, won an astounding eight championships over the course of ten seasons with Guadalajara and played for Mexico at the 1954 World Cup.